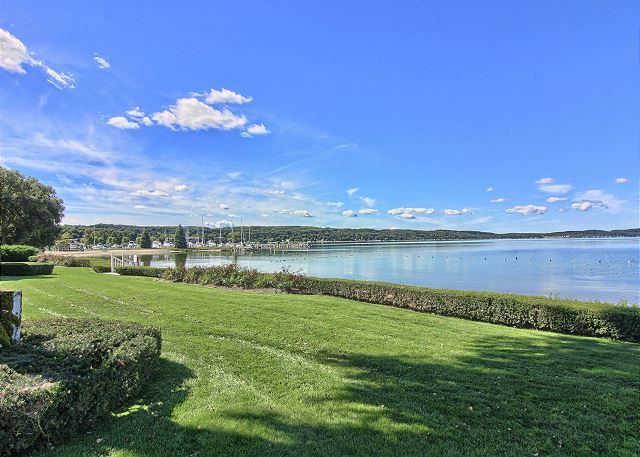 Suite 315 is an updated third floor end unit with breathtaking views of Lake Charlevoix. 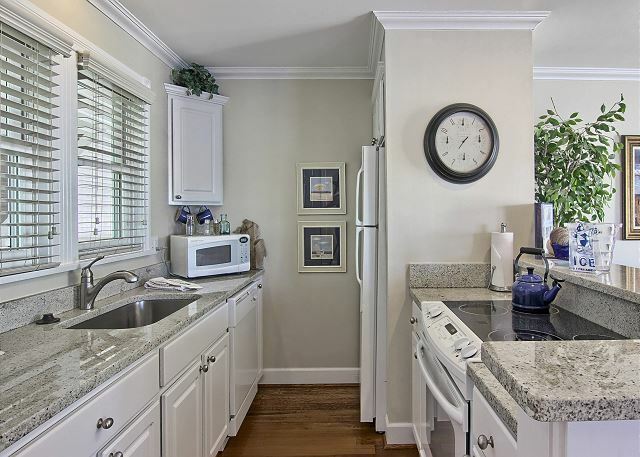 The kitchen offers a full size oven, beautiful high-end cupboards and granite counter tops. It is fully equipped with dishes and utensils ready for preparing meals. The kitchen has two bar stools for extra seating and the dining table can accommodate up to four people. The living room features a queen size sofa sleeper, gas-log fireplace, and flat screen TV. 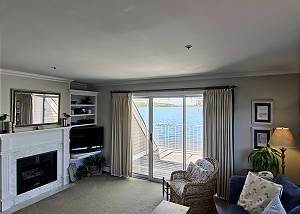 The sliding glass door opens to a private balcony that overlooks our private beach. 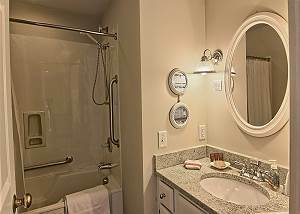 Upstairs you will find a bathroom with a tub/shower combination, along with one bedroom featuring a king size bed and TV. Clean, beautiful, walking distance to everything down town Boyne City. Tim, Thanks for the 5 out of 5 review and for taking the time to let us know your feedback. I'm so pleased to hear you had a wonderful stay! Please come and visit us this summer! Very clean, modern with great views! Walking distance to town. Boyne City is a great little town. We were looking forward to a nice fire but the fireplace only put out a small blue flame. Otherwise, great visit. Excellent place to stay. Like home, but better! Had initial trouble getting responses from emails and phone calls that I sent. I had read on another site, who I guess is afforded some of your rooms to offer, there was no availability. I, then, tried to contact your office specifically, assuming that for a November 1st booking, you couldn't possibly be sold out. I managed to get Nicole's phone number and she was very helpful and accommodating. On the day we arrived, Nicole was there and was, once again very nice and made us feel welcomed. The actual building was close enough that we walked to eat breakfast and dinner three times. The King sized bed was very comfy and the sofa bed, was quite comfortable, as well. The cleanliness was top notch. The bedding that was put on the bed, had the look of a 4 star hotel. Good restaurants and cute town. Great location, overlooking the lake. Loved our stay there. We look forward to another visit. Spent 3 nights for fall color tour. Nice views, quiet, end unit, so had an extra window to enjoy the views. We come up to Boyne City every year for a bike race and we always stay at the Water street Inn in the same room. This time we decided to stay in a different room. The room was very clean and furnished with everything that we needed. I can't recall the room number, but it was 3rd floor on the end closest to town. There was a beautiful tree outside that provided a little extra privacy and shade. We hope to stay in this room again next year. I really son't think there is a bad room at WSI. 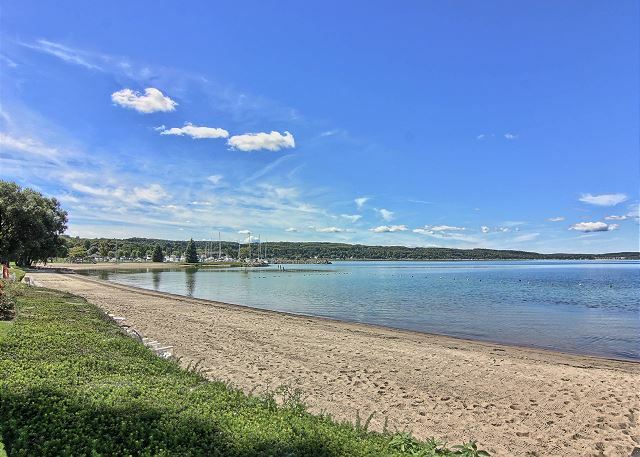 We love it there because it is right on the very peaceful and beautiful Lake Charlevoix. Everyhting you could possibly want is within walking distance to downtown Boyne City. It's so nice not to have to get in your car and drive somewhere just to get an ice cream cone or go shopping. Although pets are not allowed at WSI (our pets are probably glad to have a break from us), Boyne City is very pet and bicycle friendly. The desk staff at WSI is always very friendly and helpful. We found the inn and condo, housekeeping, and location wonderful. Very clean, well decorated, nice staff at the check in area. Loved our stay in 315! 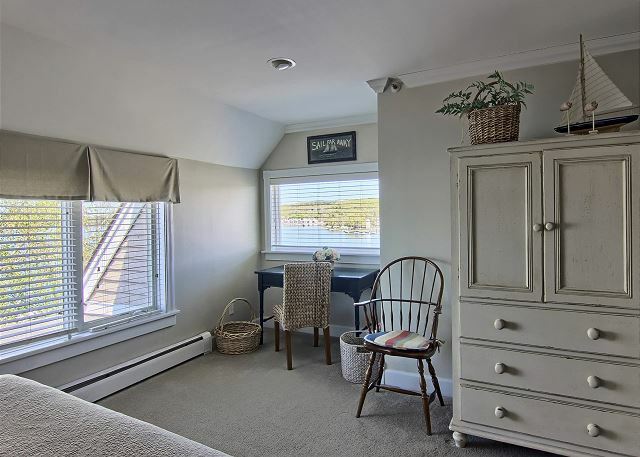 We have stayed at Water Street Inn a few times before, but this was our first time in the end unit (315). 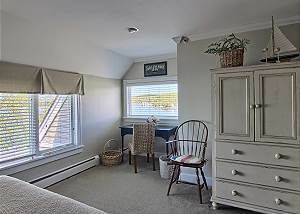 This room offers lake views in 2 directions. Beautiful place! This was an absolutely awesome property to stay at. It's located in a very pretty city and is super easy to get to. We had no trouble finding it. The manager was very helpful and accommodating. Thank you Nicole! The place itself was super clean and everything we had hoped for and better! I loved the layout and the view of Charlevoix Lake. Gorgeous setting. I would definitely stay here at this same condo again and we are already talking about coming back next year! Next time I would want to stay for 2 nights tho instead of just 1. Thank you Water Street Inn for providing us a comfortable, beautiful and relaxing place to stay! We have been here before and enjoyed it so much we decided to return. Our condo was lovely and views are awesome! We came to relax and certainly did! Parked the car and walked everywhere, very nice. 315 is a beautiful unit; very spacious, well appointed and comfortable. Enjoyed breakfast at Cafe Sante and nice dinner at Boyne River Inn on deck overlooking the river. Entry way rug is damaged and frayed (we didn't do it!!!) Great overall experience and gorgeous lake front property. Very comfortable condo. Beautiful sunset view! Wonderful staff. Great room. Beautiful views. Wonderful friendly people.would stay there again. Loved the condo, excellent location, walking distance to restaurants & shops. Immaculate! Loved the small town feel! Close to Charlevoix & Petoskey for day trips. The only thing negative I could say is the screen slider to balcony needs replaced or the rail cleaned & the glass top on range needs replaced (cracked). I definitely plan to return. 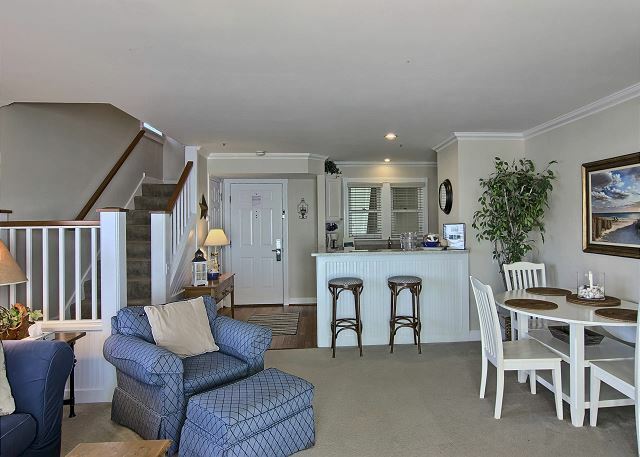 We love the location and view, close to downtown and private beach. Our unit could use some upgrades and a few more additional items in the kitchen to make for a more pleasant stay. We enjoyed the size of the unit with windows looking out over the bay. The bed was king size and I would rate a 3 on comfort. The sofa and other chairs were dated and stained. Overall we enjoyed our stay but will choose a different unit next time. Very comfortable spot to relax for a few days in Boyne City. The site is VERY well maintained, if fact we were surprised to learn it's about 30 years old. Appreciated 315 being a corner unit and the updates in the kitchen and bathroom.The convenience of the location to downtown and Boyne Mountain was a HUGE plus!